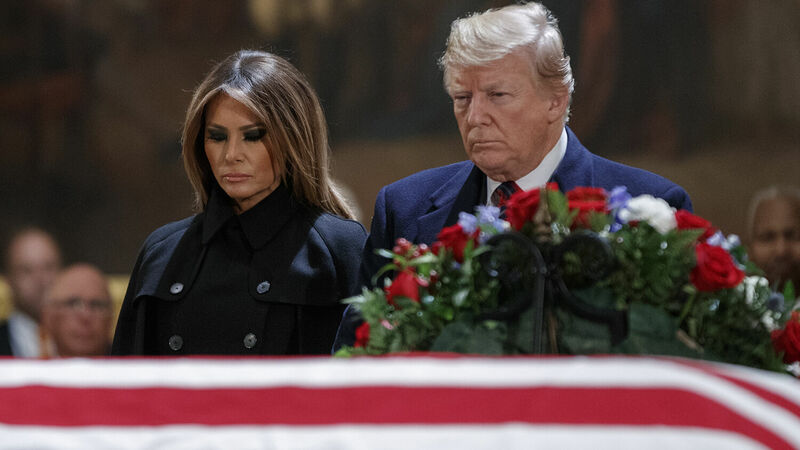 President Donald Trump and First Lady Melania Trump pay their respects to former President George H. W. Bush at the U.S. Capitol Rotunda on December 3 in Washington, D.C. Listen to the December 6, 2018, episode of the Trumpet Daily Radio Show. As president, the late George H. W. Bush was despised by the left. When Bush Sr. was running for reelection in 1992, Congresswoman Maxine Waters called him—the sitting U.S. president—a racist. Today, the radical left lionizes the late President Bush, but only because doing so gives them yet another excuse to attack the current occupant of the White House, Donald J. Trump.